Sclerotherapy is a procedure used to treat spider veins and some varicose veins. Sclerotherapy involves an injection of a solution directly into the vein. Dr. Tess prefers using a Glycerin solution which is basically sugar water and virtually harmless. The glycerin irritates the lining of the blood vessel, causing it to swell and stick together, and the blood to clot. Over time, your body breaks down this non-working blood vessel leaving the legs looking younger and vein free. Sclerotherapy is a proven procedure that has been in use since the 1930s. Candidates for Sclerotherapy • If you have unsightly spider veins (small superficial red veins) • If you have mild varicose veins (larger, deeper green veins) • You can have sclerotherapy if you take birth control pills. • If you have had a blood clot in the past, your eligibility will be decided on an individual basis • Varicose veins must not be hard to touch What to Do Before Sclerotherapy We recommend avoiding medications that increase bruising such as aspirin, ibuprofen (such as Advil, Motrin, and Nuprin) or other anti-inflammatory drugs for 48-72 hours before sclerotherapy. Tylenol, however, should not affect this procedure. Plan ahead: We recommend that you refrain from cardio activity for 1 week after treatment. To maximize results we provide you with medical-grade compression stockings to wear for 7 days after treatment. These stockings can be worn under pants, dresses or skirts. How Sclerotherapy Is Done A solution is injected through a very fine needle directly into the vein. Patients report no pain when the solution is being injected. The procedure itself takes approximately 15 to 30 minutes depending on how many veins are being treated. The number of veins injected in one session depends on the size and location of the veins. For moderate to severe cases the initial treatment will need to be broken up into 2 sessions, done one month apart. Sclerotherapy is performed in the doctor's office usually by a dermatologist or trained licensed medical provider. Before you go you will put on special medical grade compression stockings that are designed to enhance sclerotherapy results. Does It Hurt Most patients are surprised at how comfortable the treatment is. We use a very fine needle to inject the solution. The solution has a small amount of numbing medication mixed in. After the treatment you can have mild swelling and bruising but patients can resume normal daily activities. 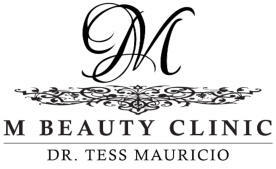 Why we’re the Sclerotherapy experts Dr. Tess has been offering Sclerotherapy for over 10 years. We use a technique that minimizes the number of injections needed. We have all of our Sclerotherapy patients use special medical-grade compression stockings to maximize and increase longevity of results. Patients have reported that our results were better than other offices. Sclerotherapy is a procedure used to treat spider veins and some varicose veins. Sclerotherapy involves an injection of a solution directly into the vein. Dr. Tess prefers using a Glycerin solution which is basically sugar water and virtually harmless. The glycerin irritates the lining of the blood vessel, causing it to swell and stick together, and the blood to clot. Over time, your body breaks down this non-working blood vessel leaving the legs looking younger and vein free. Sclerotherapy is a proven procedure that has been in use since the 1930s. Candidates for Sclerotherapy • If you have unsightly spider veins (small superficial red veins) • If you have mild varicose veins (larger, deeper green veins) • You can have sclerotherapy if you take birth control pills. • If you have had a blood clot in the past, your eligibility will be decided on an individual basis • Varicose veins must not be hard to touch What to Do Before Sclerotherapy We recommend avoiding medications that increase bruising such as aspirin, ibuprofen (such as Advil, Motrin, and Nuprin) or other anti-inflammatory drugs for 48-72 hours before sclerotherapy. Tylenol, however, should not affect this procedure. Plan ahead: We recommend that you refrain from cardio activity for 1 week after treatment. To maximize results we provide you with medical-grade compression stockings to wear for 7 days after treatment. These stockings can be worn under pants, dresses or skirts. How Sclerotherapy Is Done A solution is injected through a very fine needle directly into the vein. Patients report no pain when the solution is being injected. The procedure itself takes approximately 15 to 30 minutes depending on how many veins are being treated. The number of veins injected in one session depends on the size and location of the veins. For moderate to severe cases the initial treatment will need to be broken up into 2 sessions, done one month apart. Sclerotherapy is performed in the doctor's office usually by a dermatologist or trained licensed medical provider. Before you go you will put on special medical grade compression stockings that are designed to enhance sclerotherapy results. Does It Hurt Most patients are surprised at how comfortable the treatment is. We use a very fine needle to inject the solution. The solution has a small amount of numbing medication mixed in. After the treatment you can have mild swelling and bruising but patients can resume normal daily activities. 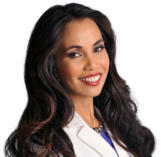 Why we’re the Sclerotherapy experts Dr. Tess has been offering Sclerotherapy for over 10 years. We use a technique that minimizes the number of injections needed. We have all of our Sclerotherapy patients use special medical- grade compression stockings to maximize and increase longevity of results. Patients have reported that our results were better than other offices.